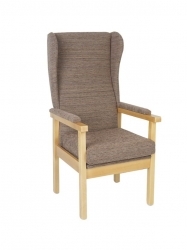 Breydon Fireside Chair, where practicality meets style. The clean lines of the Breydon fireside chair offers a cost effective seating solution for those who need the comfort of a robust high seat and shaped back rest. Carefully shaped armrest and long hand grips assist with standing. For those with specific pressure care requirement, the removable seat cushion allows for adaptations and is easy to clean. 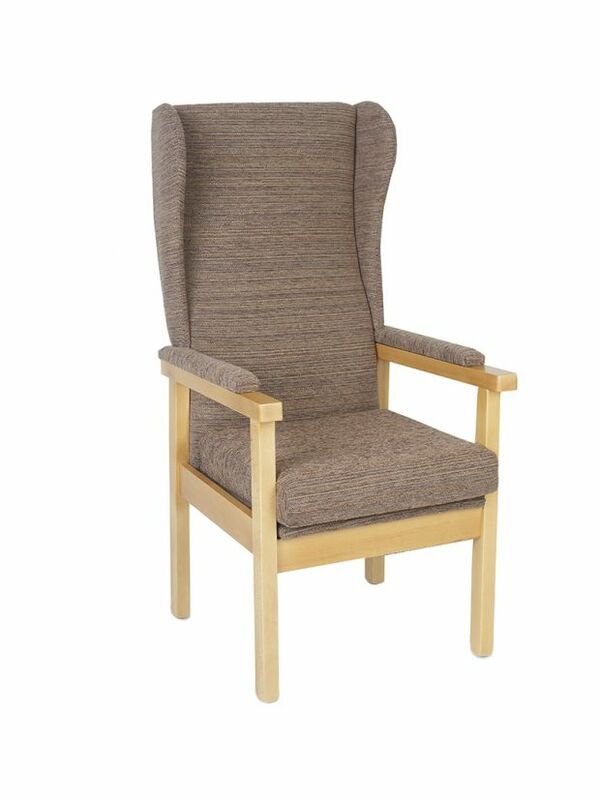 A chair with the individual in mind, a natural wood finish, wings, a range of fabrics there’s a Breydon to suit both you and your home. 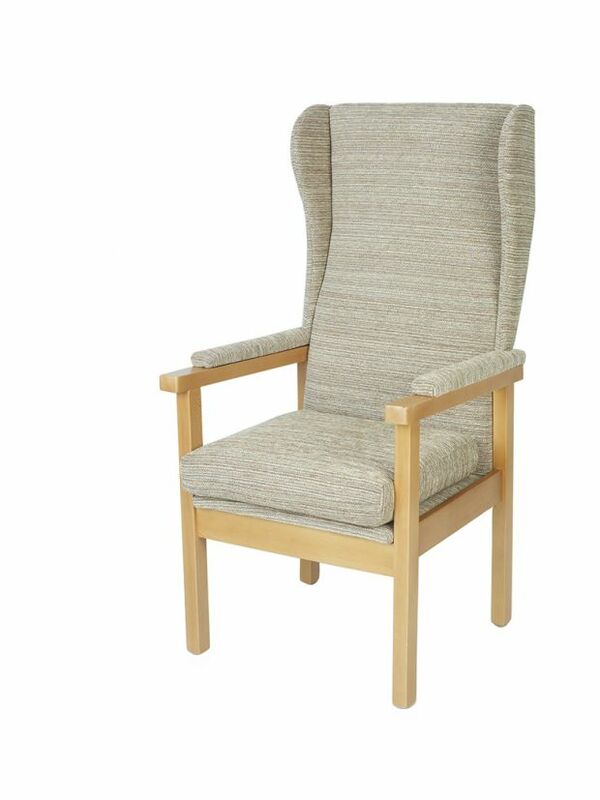 The Breydon fireside chair provides a low cost multi function high seat chair for those who need the comfort of a robust high seat with carefully shaped arm cushions and long hand grips to assist in standing. 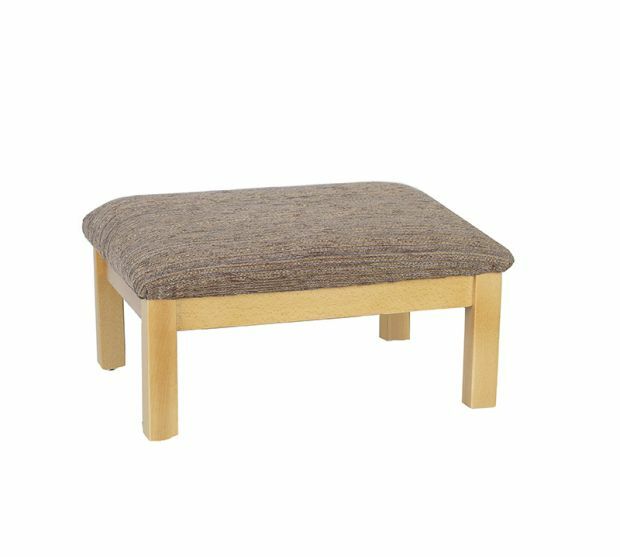 The removable seat cushion enables the seating to be adapted to suit individuals who require specific pressure care solutions. British design and craftsmanship - Made in the UK.